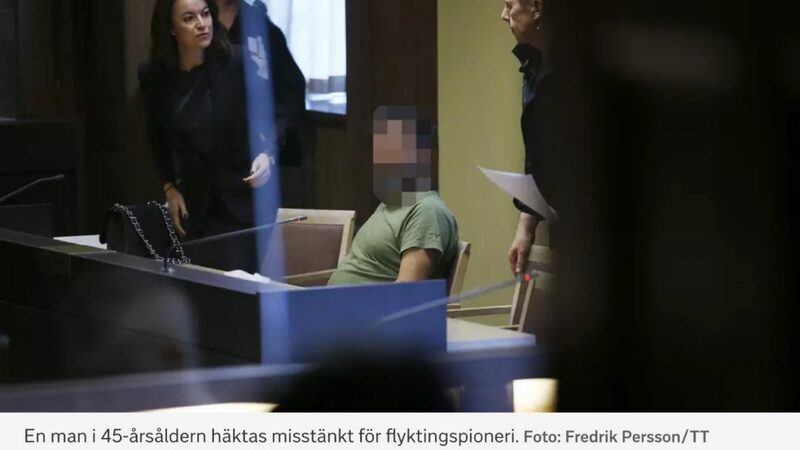 Swedish intelligence services have reported the arrest of a suspect in espionage against refugees. The news does not indicate the nationality of the detainee. This is a common practice of the law enforcement agencies in the Western countries – not to publish personal data of the suspects. At the same time, such [personal] data of asylum seekers are far from being always reliably protected. Access to data by the security services of the country of origin makes the refugee particularly vulnerable, as it provides additional opportunities for putting pressure on both the relatives left at home and directly on the fugitives themselves. Asylum seekers interviewed by Vayfond have noted that the presence of the Russian employees in the migration services does not facilitate the bureaucratic procedures, but sometimes becomes an obstacle to obtaining the refugee status. The Constitution of Russia does not exempt its citizens having the citizenship of other states from their obligations towards the Russian Federation. Some duties are specified by the article 308 of the Criminal Code of the Russian Federation: “The refusal of the witness or the victim to testify, or the evasion of the victim from the examination, from the proceedings regarding his forensic examination in cases where his consent is not required,or from the provision of handwriting and other samples for the comparative analysis shall be punishable with a fine in an amount of up to forty thousand roubles, or in the amount of the wage or salary, or any other income of convicted person for a period of up to three months, or by compulsory works for a term of up to three hundred sixty hours, or by corrective labour for a term of up to one year, or by arrest for a term of up to three months”. “Any … citizen of the Russian Federation who has become aware of certain facts concerning a person accused by the Russian authorities of criminal activity may be brought by the investigating authorities as a witness and will be required to testify as a witness,” – one of Vayfond’s legal advisers commented on this situation. – Any Maria Petrovna Ivanova with a Russian passport in her pocket cannot hide behind Swedish, American, British and other law and refuse to testify,in this case only Russian law is applicable. Despite this fact, the authorities of other countries to employ persons with Russian citizenship, who are gaining access to the confidential information, are not willing to notice this”, – the lawyer pointed out. Applicants for the refugee status have already gained a negative experience of communication with the Western officials of Russian origin. Due to this fact, they are trying to avoid contact with such people from Russia, as it was recently in Sweden. One of the groups that are in the sights of the FSB [Federal Security Service], is represented by the natives of the Chechen Republic, Ingushetia and Dagestan. It is in these regions that abductions, torture, and extrajudicial executions have become a commonplace, which is recorded by the international human rights organizations. Reports of human rights defenders give grounds for migrants from the region to apply for asylum in the countries of the European Union. Since the first Russian-Chechen war the Chechen diaspora has been formed in Austria, Germany, France, the Scandinavian countries and Turkey, the basis of it consists of the opponents of the Kremlin-established regime in the Chechen Republic, as well as their relatives. These people are of operational interest both for the Russian special services and for the environment of the Moscow-appointed governor of the Chechen Republic Ramzan Kadyrov. In 2009 a Chechen, accusing Kadyrov of torture, was killed in Vienna. From time to time there is news from Turkey concerning the murder of the representatives of the diaspora. Ethnic Chechens, whom the investigation connects with the Russian authorities of the Chechen Republic, were detained, and in Austria – were convicted on the grounds of suspicion of involvement in these crimes. These and similar cases form a cautious and sometimes hostile attitude of local residents towards the migrants from the Caucasus. In Ukraine, in a short​ time, several murder attempts were performed on the supporters of the independence of the Chechen Republic: unknown killers in 2017 shot Amina Okuyeva and blew up Timur Makhauri. And six months before the murder of Okuyeva, a murder attempt on her and her husband Adam Osmayev was conducted, according to the investigative services of Ukraine, by Arthur Denisultanov, known since the time of the criminal squabbles of the 90s. It has been established that the suspect legalized himself in Ukraine with the help of a fake passport, which was issued by one of the migration service offices in Odessa. And although the migration policy, as well as the work of the relevant services in Ukraine and in the European Union countries differ, it is obvious that Russian security forces pay special attention to them, embedding their own people there or corrupting local cadres. In 2018, the attitude of the migration authorities of European countries towards Chechen refugees obviously deteriorated. At the request of the Federal Security Service, Chechens and Ingushes were extradited to Russia from Bosnia and Herzegovina, Slovakia, and Ukraine. The relatives of AzamatBaiduyev, who was deported from Poland, are likely to be under pressure from Kadyrov’s people, given that they refuse to comment on the arrest upon his arrival at home. In order to initiate the extradition of Chechens and the representatives of the Russian Muslim ethnic groups, the special services of thecountry actively use the stigma “ISIS member” against the wanted opponents of the Putin regime. The accusation of involvement in the so-called “Islamic State” makes the necessary impression on the Western intelligence agencies, who do not seek to investigate the validity of such accusations and ignore the threat to the lives and health of the extradited. According to the Russian-American researcher Denis Sokolov, discrediting the opponents of the Kremlin regime is one of the main areas of the Federal Security Service work with the diaspora. The main tools for controlling immigrants are bribery and blackmail. “Such control turns a large number of people into a network of agents of influence. Since with the help of bribing and blackmail, political projects, riots, street actions can be implemented… ”, the expert noted. In addition, control over the diaspora gives the Kadyrov supporters an access to the shadow financial flows and other resources of the ethnic criminal groups. Denis Sokolov believes that Kadyrov considers Chechens living in Europe as a potential threat and is seeking to protect himself from any manifestation of activity on their part. Sokolov notes that the stereotypical perception of Chechens in the EU as people prone to violence and ignoring laws plays into the hands of Kadyrov and his patrons in Moscow. This contributes to the marginalization of the diaspora and makes it more manageable. The indirect consequence of creating a network of agents of influence in the diaspora is the substantial corrosion of Western institutions and Western values, Sokolov notes. In his opinion, Kadyrov and his masters in the Russian special services have so far succeeded in imposing their own game on the authorities of the Western European states. “Western law enforcement agencies and courts give Kadyrov and his partners jurisdiction over those who are on their territory, allowing them to exercise enforcement control over the members of the diaspora,” states the expert. Refugees can resist this dangerous tendency, by unswervingly observing the laws of their countries of residence, Sokolov believes. Nevertheless, Swedish authorities are more and more sober about the Russian threat to the national security and to the migrants who have been granted asylum in the country. Security expert Joakim von Braun notes the increased activity of the Russian special services. According to his data, about thirty Russian intelligence officers work in Sweden, relying not so much on the use of technology, but rather on the use of informers and agents of influence.